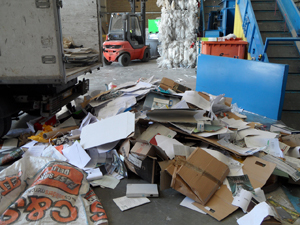 We remove and recycle paper and cardboard for businesses on a regular basis . We also perform one-off removals, if that is all you require. Our uniformed crews arrive promptly and work efficiently, which is why we have an excellent reputation for reliable customer service . Whatever your situation – whether you have just moved into a new home or office and now have more cardboard boxes than you know what to do with, or you run a business that regularly produces paper and cardboard waste, Junk Collection can help. We take our environmental responsibility seriously, and we always recycle. So contact Junk Collection to schedule a pick-up, or to obtain a free quote on paper and cardboard removal .